The decision to divorce has been made, one spouse has moved out, and a semi-workable arrangement for childcare and parenting responsibilities was formed. Now what? Couples seeking to end a marriage understand that divorce is a legal process, but what that actually means and how everything works remains a mystery for most. 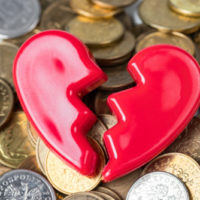 Given that divorce will be a big part of a spouse’s life for at least the next three months, and longer if children are involved, understanding the basic mechanics of what the law requires, the general steps of a case, and the level of involvement a spouse can expect to provide to his/her attorney, is key to figuring out how to manage the changes and repercussions of this event. A basic discussion of the types of divorce offered in Florida, how to initiate a divorce case, and the options for reaching resolution, will follow below. Both spouses are willing to sign the petition, as well as attend the final hearing. This is an extensive list of quite narrow circumstances, so most will not qualify, but for the few that do, this option is much easier than the standard divorce petition. Once the spouse filing for divorce decides the type of petition he/she wants to use, the next step is to prepare the formal petition. This task is normally handled by one’s attorney, and may include the mandatory financial affidavit at the same time. If not, this document must be filed within 45 days of the petition being served on the other spouse. This brings up the next step – serving the petition on the other party, an action that must be completed within 120 days of filing the petition, or the case may be dismissed. Service is typically performed by the local sheriff or through a private process server. Once served, the other spouse has 20 days to answer the petition with demands of his/her own, and from this point, the central part of the divorce case opens leading to a final hearing or trial. Finally, a couple needs to choose the forum they will use to conduct the divorce. The standard choice is between mediation and litigation. Florida courts are backed up, and it can take many months to even schedule a trial date. Further, the judge is put in the place of making key decisions that will affect each spouse permanently. Mediation is often faster and less expensive, and importantly, gives the couple the power over the terms of the settlement. 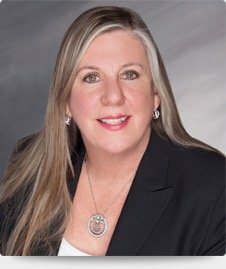 Each divorce is unique, and an experienced divorce attorney should be consulted about the best approach to follow. The road to and through divorce is never easy, but working with an experienced divorce attorney can take a lot of the guesswork and uncertainty out of the outcome. The attorneys at the office of Joyce A. Julian, P.A. know the stakes you are facing, and will guide you through the divorce process to reach the best possible result. Contact the Fort Lauderdale divorce firm at (954) 467-6656 for a free consultation.